Transform the age-old ritual of making tea. These dried tea flowers are actual lotus buds sourced from a monastery on one of China’s holy mountains. Their golden honey aroma evolves into a subtle, more herbal taste and fragrance as you drink. 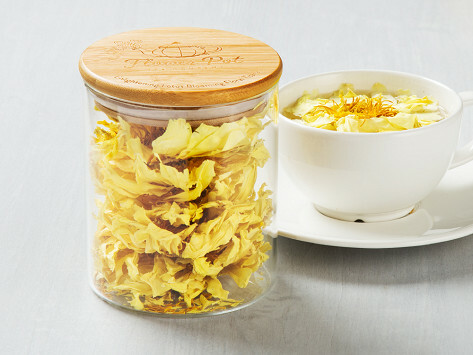 You’ll receive eight to ten flowers which, depending on their size, are good for up to two infusions each. Dimensions: 4.2" x 4.2" x 6.5"
Absolutely love how beautiful these look, and they taste delicious too!!! 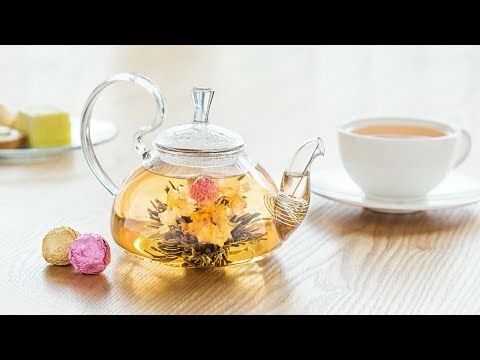 So fun to drink a beautiful tea!! !